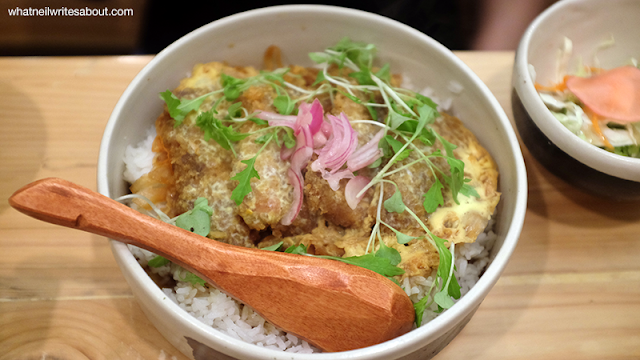 Rice has been one of the staples of both Filipino and Japanese cuisine. In fact a lot of the delicacies that have become the local favorites have rice on it or are made of it. As a result, a lot of Japanese restaurants have been popping up locally. Chef Bruce Ricketts, regarded as one of the best local chefs for Japanese cuisine partnered with the moment group to unveil their next concept, Ooma, at the SM Mega Fashion Hall. I've heard about Chef Bruce from a variety of sources that tackle the wonderful talents of the food industry. In fact, I've always wanted to try Sensei Sushi at BF and Mecha Uma at BGC, but due to my responsibilities I would have limited time to schedule with my friends, and limited time to venture too far from where I reside. Situated at the third floor of SM Megamall's Mega fashion hall, 'Ooma' aims to serve absurdly delicious Japanese dishes at friendly prices for the majority. 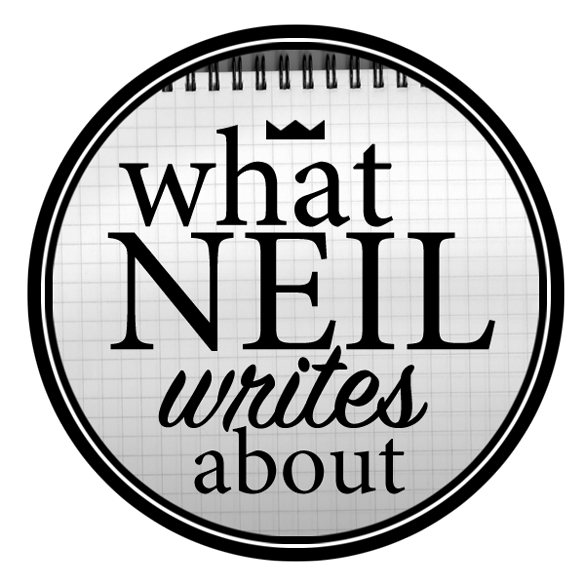 As I write this, the feeling of elation and satisfaction of his creations linger like an ex you wanted to move on from but can't. SPOILERS: I had to quickly plan my next visit just to be sure of what had happened. The third floor of the Mega Fashion hall has wonderful selection of restaurants like 8 cuts, rosanjin, and fireside. Ooma sits in the middle. As you reach the facade, you'll notice how busy the place is especially during lunch and dinner time. At first glance Ooma reminds me of a busy modernised Japanese fish market with the warm lighting, and the aggregated noise from the conversation that brings it to life while accents like Japanese posters, rubber boots, wooden dividers, and Japanese man hole covers all add to the feel. What is missing though is the feeling and smell of dampness that comes with preserving the fishes and the seafood which is a great thing. 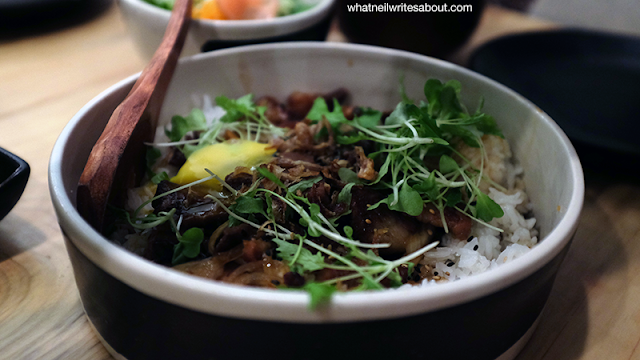 As I was left wondering what had happened on our first try at Ooma, I decided to return three weeks later to see if that absurdly delicious experience wasn't a fluke. True enough, I tried the other dishes that I missed and it was still the same. I can't get over that lingering taste in my mouth. I can safely say that most of the dishes like the gyudon, the ebi tempura, the katsudon, the california taco maki, and the Salmon skin aburi maki are good, and there were ones that just left me speechless. 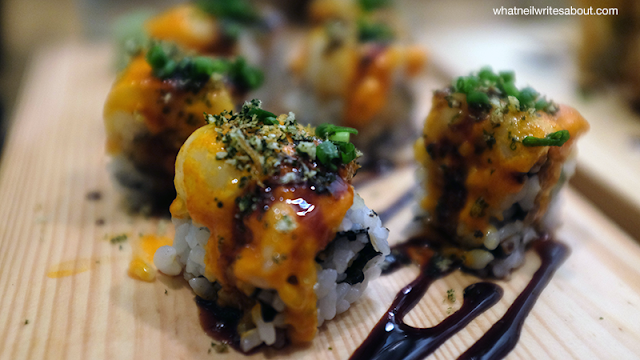 These were the Spicy Lapu-lapu Taco Maki, the Tuna Scallops Aburi Maki, the Hanger Steak and the half-baked lava cake. 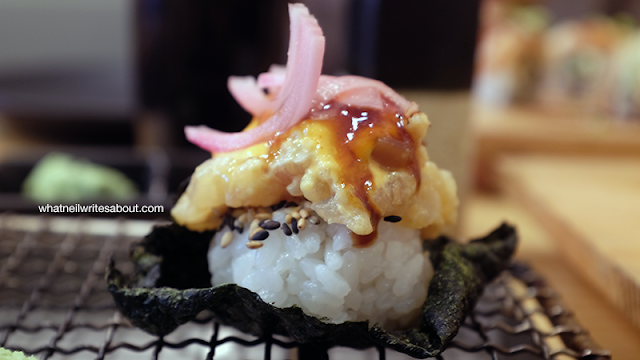 The Exceptional Spicy Lapu-lapu Taco Maki! I got my chopsticks and picked up the Spicy Lapu-lapu and swallowed it whole! As it touched my tongue it exploded with flavor! The spicy kick of the kimchi, the fresh lapu-lapu and the aligue mayo rushed through my taste buds up to my brain and overloaded my senses that lead me to almost forgetting to close my mouth. I agreed with my lovely friend when she said to forget about poise because the food was that good. I then tried the Scallop and Tuna Aburi Maki. 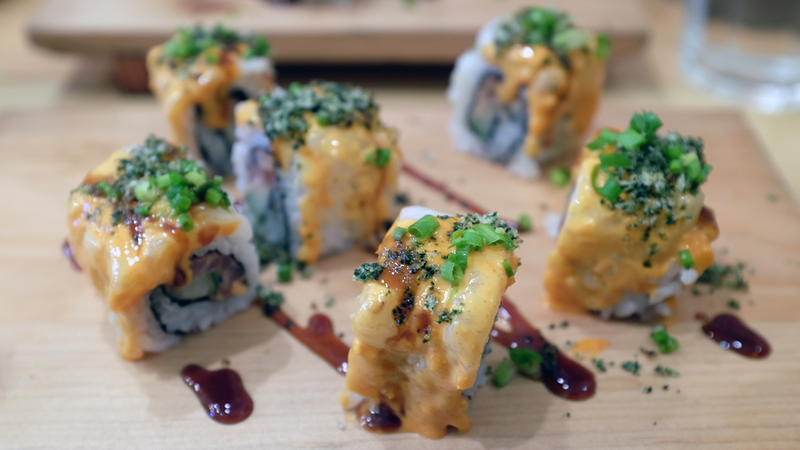 (Aburi meaning torched) It was the same, the flavors of tuna, scallop, kimchi aioli, teriyaki sauce and the cucumber just erupts in your mouth. 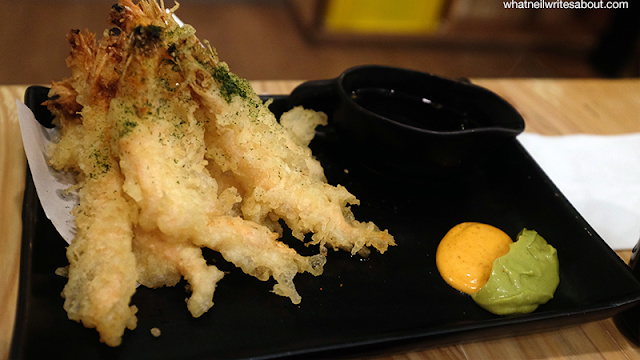 The Ebi Tempura surprisingly goes well with Aligue Mayo and Avocado Mousse! The hanger steak on the other hand was an interesting concept. 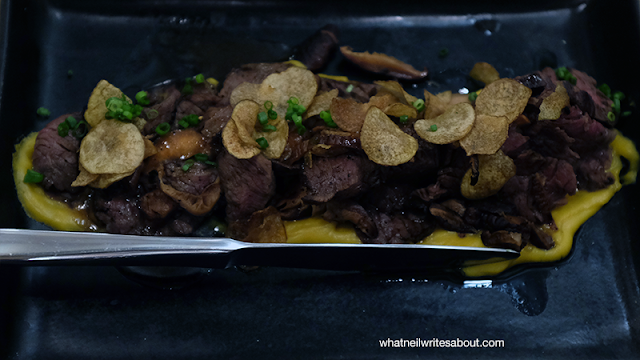 The beef is soft and tender but it is complimented by the ponzu butter, truffle oil and the crispy baby potatoes! We also tried the ebi tempura and surprisingly it goes well with the Aligue Mayo and Avocado mousse! Although all of them were good, there were ones that didn't stand out as much and to my preference need a little refinement. The California Taco-Maki was wonderful but I felt that the mayo overpowered the rest of the ingredients which I think could be remedied while the Salmon Skin Aburi Maki didn't have anything that have it stood out. It's good, just not great. I could go and and on on how great these dishes are but I highly suggest you try them out for yourselves. True enough as we took our first bite the wonderful vanilla flooded my mouth! 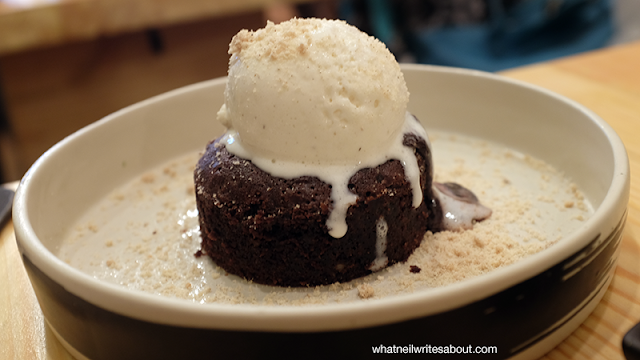 It was followed by the rich flavor of the chocolate cake and then the decadent chocolate lava. Yes the two chocolates tasted distinctly in my mouth, but neither one of the ice cream, the chocolate cake, and the chocolate lava ever tasted too sweet. It was either the flavors complimented each other or they struck a perfect balance. It was Damn Good. Now famous for having long lines especially during the rush hours of lunch time and dinner time, Ooma can only list your names on queue. You will have to either wait or come back until you are called for a table. Although there are such wait times, they are quick with preparing the table for your arrival. In fact as soon as we sat at the table we were given menus for us to play with. The waiter was patient enough to answer our questions and through careful considerations and exchanges we were able to finish our orders. The service during our first trip to Ooma was fast. The orders started flocking in around ten to fifteen minutes after ordering, and most of the dishes came at the same time. We were flustered to which dish should we try first. On the second visit however, It seemed to take a little longer. We had to follow-up our order around the fifteen minute mark. The dishes came right after that. Prices start at Php 65.00 for the miso soup and can go as high as Php 995.00 for the Rib-eye. 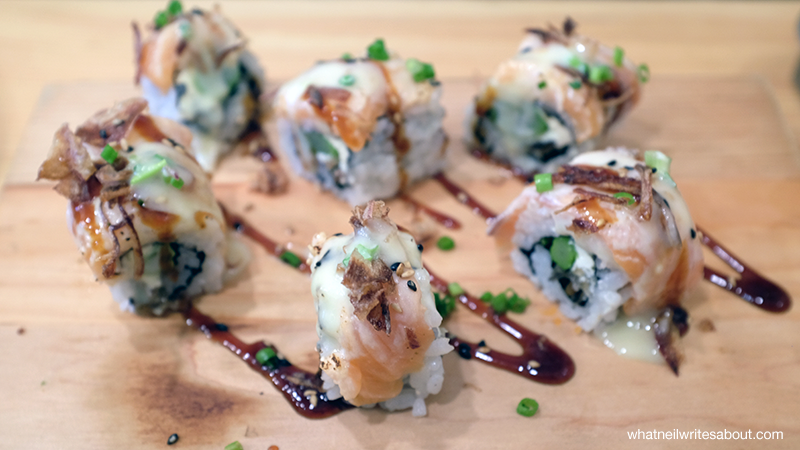 Most dishes like the set of Aburi-Makis or the Taco-Makis average on Php 245.00 to Php 345.00. These are all reasonable because of their quality and value as compared to other Japanese establishments that over similar dishes at more premium prices. Ooma is a hot bed for high quality Japanese dishes at economical prices. I encourage you to visit as soon as possible!